IBS and other Functional Gut Disorders can be debilitating. Stomach cramps, food intolerance or intestinal bloating can make enjoying life difficult. It might be gas, diarrhoea, constipation or all of these symptoms interfering with your life and making you feel anxious or depressed. You may be suffering from fatigue or difficulty sleeping. Many people with IBS avoid socialising and travelling. The effects are toxic for your overall happiness and wellbeing but also can be damaging for your work life, your family life and your love life. Irritable Bowel Syndrome, or IBS, is a symptom-based diagnosis usually characterised by chronic abdominal pain, discomfort, bloating and unpredictable bowel habits from diarrhoea to constipation. It’s the most common gastro-intestinal complaint diagnosed in Australia and affects approximately 15% of the adult population. For some people it’s brought on after a major stress or it may be made worse by stress. For many it just occurs and the cause is unknown. Hypnosis is fast gaining traction in IBS treatment. There is solid evidence from several studies worldwide that hypnotherapy can relieve the symptoms of Irritable Bowel Syndrome. In 2016 a team from Monash Uni and The Alfred Hospital’s Department of Gastroenterology, carried out a study which compared the impact of gut-related hypnotherapy. 72% of participants had improvement with regard to their global gut symptoms following the hypnosis. A similar result of 71% was also recorded at the Withington Hospital in Manchester. Hypnotherapy was shown to be more beneficial from a psychological perspective. It reduced the levels of anxiety and depression experienced by participants, noting that overall patients were not clinically depressed or anxious at enrollment. In comparison to medical approaches, treating IBS with Hypnosis is a completely natural therapy and can reduce or eliminate the need for pain medications and pharmaceutical drugs. 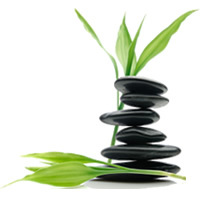 Hypnotherapy helps you achieve a natural, relaxed and very focused state of mind. Many patients find that they are aware of being said and are still in control but are in a trance state that allows you to reduce stress. It alters your perception of sensations and feels more comfortable. It works at the subconcious level of the mind and engages the power of MindBody healing. Your therapist will ask you to sit comfortably in a chair and close your eyes. They will then simply talk you into a very relaxed state. Hypnosis is a pleasant, day-dreamy state. Your body will probably be very relaxed but you will be more focused and aware than you normally are. You are always in control and you will normally remember what happens during the session although it may feel a little like a dream. Our Hypnotherapy Program consists of 6 x 50 minute Sessions to achieve the best results. See what some of our patients are saying about their IBS treatments. My IBS meant I had to get off the train 2 or 3 times every morning on my way to work to go to the toilet. It was really awful. Now with the help of my self hypnosis CD and the sessions I have had at Simply Natural Therapies I travel non stop to work comfortably and feel so much more relaxed. “General Practitioners, Specialists, tests, medication, diet & natural remedies only provided temporary relief to my ongoing IBS symptoms. I turned to Hypnotherapy as a last resort and after my first treatment experienced dramatic improvements in my daily symptoms. Alison has enabled me to identify key incidents in my life which where triggering my IBS symptoms. I would highly recommend Hypnotherapy as a fantastic tool for anyone suffering with IBS or any other issue that may be impinging on their daily life. I now feel as though I have regained control of my mind and body and cannot that Alison enough for helping me achieve this. Who offers our IBS Program? Feel free to call us at Simply Natural Therapies 03 9842 7033 to chat about how we can help you to overcome your IBS related issues. Or make an appointment with our online booking system here. We service the eastern suburbs of Doncaster – Ringwood – Box Hill – Blackburn – Kew – Greensborough – Balwyn – Templestowe, – East Melbourne and many more.